Winter landscape. 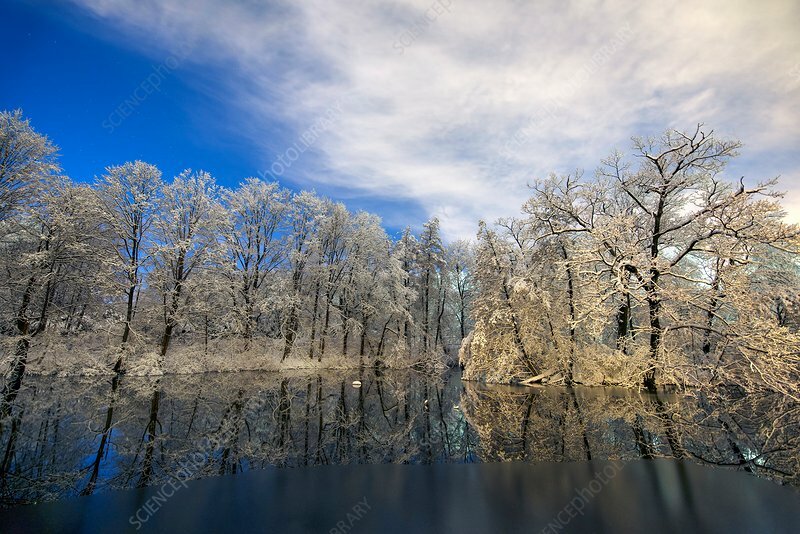 Snow-covered trees around a pond after a snowstorm. Photographed near Boston, Massachusetts, USA, at dusk.